No matter how many times I walk down the stairs at West Street Beach, I still can’t help but stop for a moment and enjoy the awesome view of the ocean. 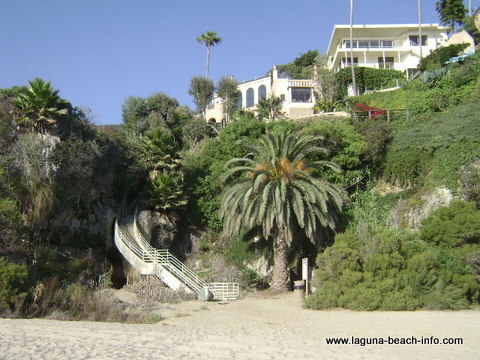 West Street is a beautiful sandy beach with lots of space and not as well known as some of the more popular beaches in Laguna, so it’s usually much less crowded than many of the other local beaches. The waves break near the shore- making great conditions for skimboarding. You may also find an outer break that provides some strong rides for bodysurfing, just make sure to keep a safe distance from the rock formations and rock wall on the south end. There are some great rock formations positioned almost directly out from the stairs. You will find barnacles and mussels bound to the rocks farther out where the waves crash in, but you’re unlikely to spot much other tidepool critters from the rocks, unless it’s extremely low-tide. There are no restroom facilities or showers at this beach. That might be one of the features that keeps the crowds away! Limited parking near West Street Beach may be found along Coast Highway and in the residential neighborhoods across Coast Highway. Be courteous as these are people’s homes and make sure to not block anyone’s driveway. 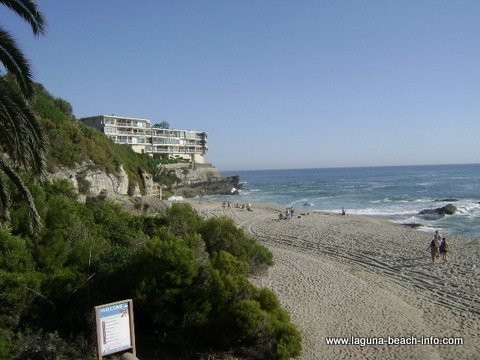 West Street Beach is located at the interstection of West Street and Coast Highway in South Laguna Beach.